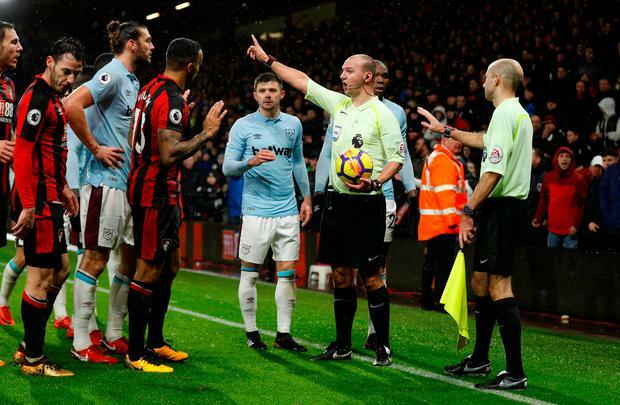 David Moyes believes referee Bobby Madley overruled his assistant Simon Long to award Bournemouth a controversial equaliser. 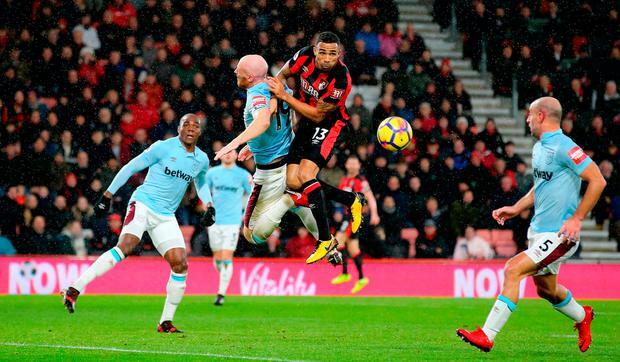 Hammers boss Moyes admitted to being left mystified as to how Madley and his assistant Long came to the conclusion to award Callum Wilson's added-time goal. 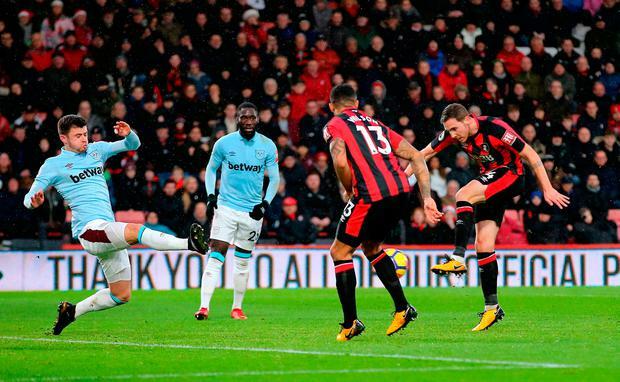 Marko Arnautovic's double in the last 10 minutes stole West Ham a 3-2 lead, only for Wilson to bundle home Nathan Ake's header. 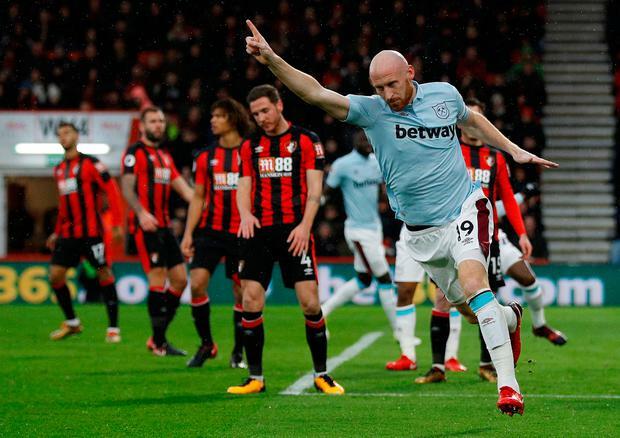 West Ham were adamant that Wilson had brushed the ball home with his arm, while assistant referee Long raised his flag, sparking a lengthy debate with Madley. "When the linesman's flag goes up you think, 'We've got out of jail there a bit'," said Moyes. "But to overrule the linesman's decision, I couldn't believe. I think you could question the offside, because it looks pretty level. 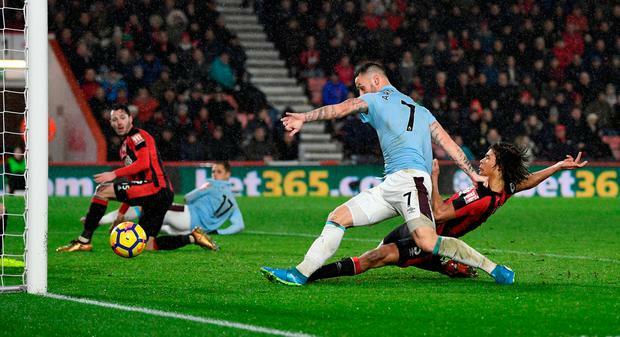 But what you can't do is question that the Bournemouth player (Wilson) put it in with the top of his arm. "When I saw the commotion I thought there was no way he (Madley) would overturn it," added Moyes, who tried to keep his cool about the referee's overall performance. "I think he said the assistant referee only put his flag up to draw attention to it, and I've never heard of that ever," said Moyes, who confronted the referee on the field at full-time. "If the assistant referee raises his flag, what would it be for? Offside. Arguably you could say that it was offside, but I'm giving them the benefit of the doubt. But I can't give them any benefit of the doubt for their player raising his hand." "I didn't think it would be given because of the length of the conversation," agreed Bournemouth boss Eddie Howe. "It looks like we might have got away with one there."